Committees tasked by the previous Ontario Liberal government to look at how to make education and health care more accessible to people with disabilities say they're still waiting for the PC government to put them back to work. A Toronto student with multiple sclerosis has a message for Premier Doug Ford: "Get in my chair" and see how you experience the province. Kathleen Lynch, a journalism student at Humber College, is one of some 74,000 post-secondary students with disabilities in Ontario. 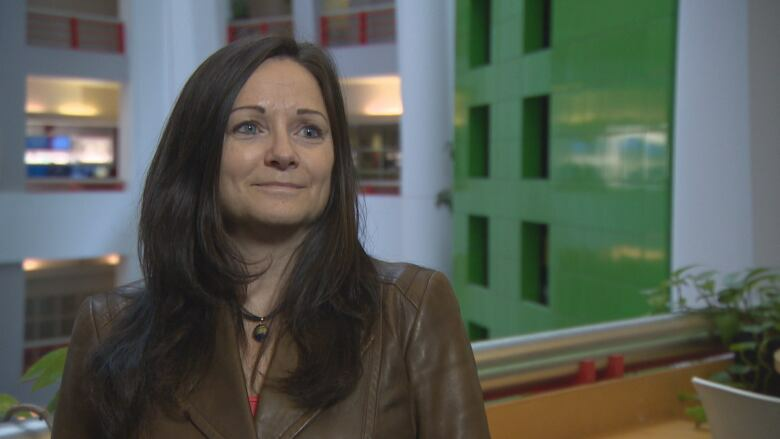 She says if Ford could only see the daily challenges she faces, he'd work much harder to ensure the province accomplishes its goal of becoming fully-accessible by 2025. "Do you know how quickly he'd be snapping his fingers saying, 'We need to do something about this?'" she said. And Lynch isn't alone in her criticism. 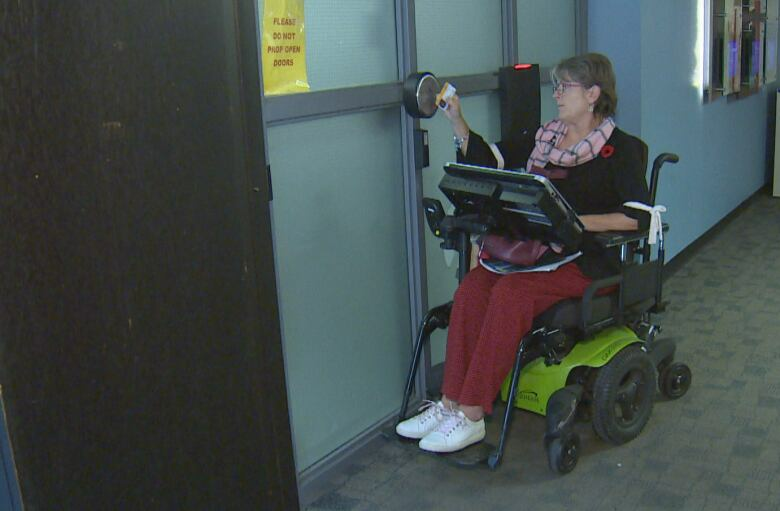 Accessibility advocates say the government hasn't put several Standards Development Committees (SDCs) — special groups looking at how to get rid of accessibility barriers in the province — back to work almost five months after the spring election. Their work is an essential part of the Accessibility for Ontarians with Disabilities Act (AODA), passed in 2005. All the parties voted to work toward making the province barrier-free by 2025. The SDCs are meant to study barriers in different sectors to make recommendations for an accessibility standard. The three still paused — looking at health care, schools K - 12 and post-secondary institutions — are the most recent to begin their work. They stopped work on May 8, 2018, when the provincial election campaign officially began. 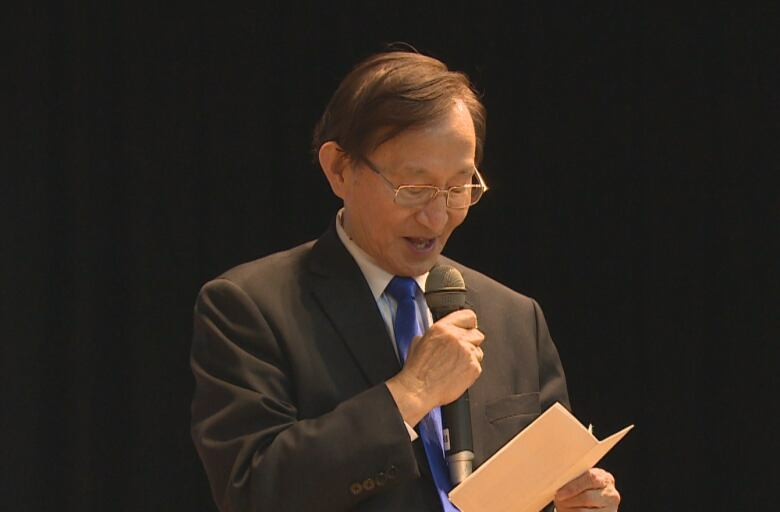 In a statement, the Ministry for Seniors and Accessibility said they've resumed some of the other committees, but they'll have more to say on the ones still paused "upon further consideration." 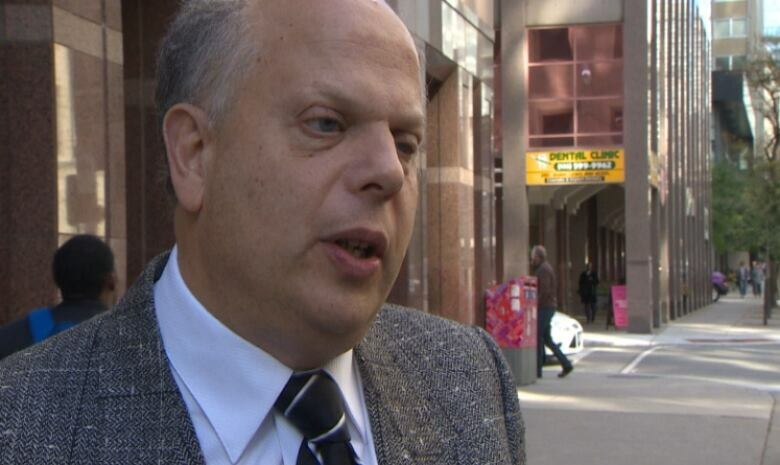 That doesn't sit well with David Lepofsky, the chair of the AODA Alliance. He said as the official opposition, the PCs had previously criticized the former Liberal government for not moving fast enough to create the committees. "On our behalf they slammed the former government when it delayed," he said. "The Conservative Party that used to press to move forward on this has frozen our work ... That's not fair." When he inquired, Lepofsky said a spokesperson told him the government needed time to brief the new minister before resuming the committees' work. "It doesn't take four months to brief a new minister," he said. "Our students with disabilities have been facing this uphill situation in schools for years. It's long overdue time to fix it, so we can't afford a delay." In the absence of a standard, Lynch feels she's been left to fight her own battle. As a result of her disease, she isn't able to move her left arm and uses a power wheelchair to get around. 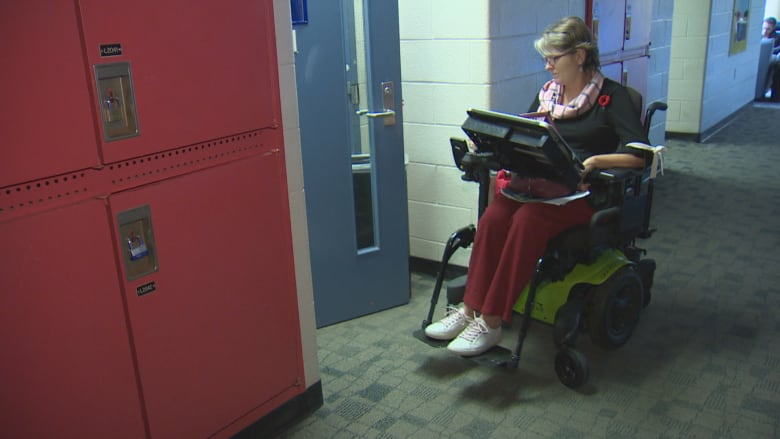 Most of her classrooms are not equipped with automatic door openers, which she said makes it extremely difficult to get through them. "If there is an automatic button … that's my independence," she said. "There's a lot of handicapped kids, and I don't know if their needs are being met." On top of that, she said other students are often using the barrier-free washrooms, which are the only ones she can use. "Several times I've come here and I'm waiting 10, 15 minutes for somebody to walk out that door. 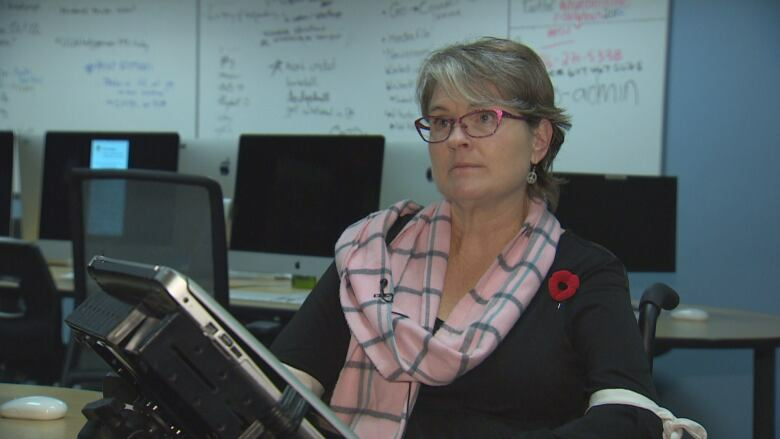 And it's kind of demoralizing, it's kind of dehumanizing and it's a basic need to go to the washroom," she said. As a fix, she'd like to see the college give out key cards to students with disabilities so only they can use those washrooms. In a statement, Humber College said Lynch's building exceeds accessibility standards, and has automatic door openers installed at all public entrances and at barrier-free washrooms. But an accessibility standard might require them to do more. When a student with a physical disability enrolls in a program, the standard might require the school to offer those classes in rooms already equipped with automatic openers. Lynch said those openers would give her back her independence, which is why she's also eager for the SDCs to get back to work. "It's 2018. They're too far behind," she said. Sandi Bell, the chair of the Health Care Standards Development Committee, agrees. "We're disappointed to still be waiting," she said. "I have been particularly concerned because we are one of the most recent ... committees to have been formed. So we're still working on our very first set of recommendations." Bell said they're looking at complex barriers, such as what a hospital might do with a person's service animal should they experience an emergency. "The issues are huge," she said. "Every day that goes by, someone may not be being afforded the accessibility, the accommodation that they need." Jeanette Parsons, the chair of the Inter-University Disability Issues Association and a member of the post-secondary SDC, is also eager to resume. "We really, really do want to come back to the table with this and we're looking forward to the resumption of this work," she said. Parsons's committee had just begun to identify some of the biggest barriers facing post-secondary students with disabilities, such as transitioning from high school, accessible learning materials and mental health. "It's valuable for universities to sort of have a road map as to how they can enhance accessibility generally," she said. Many hospitals and schools have created their own accessibility standards, but according to Lepofsky: "There's no specific accessibility standard regulation that's enforceable in Ontario for schools, colleges, universities, hospitals and other health care providers." There are accessibility requirements for buildings under the Ontario Building Code, but they're "completely inadequate," Lepofsky says. People can also file complaints under the Ontario Human Rights Code, but it's up to the individuals to fight those battles. "If we set one provincial standard then everyone will know what they've got to do," Lepofsky said. "We're eager to get back to work so we can give this government good recommendations ... but we can't do that until they lift their freeze."